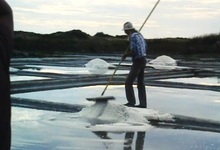 In SEA SALT FLOWER I tried to penetrate the Guérande Salt Marshes cinematographically ; this is a land of birds and salt, recently designated a « grand site national » to protect it from the devastations of modern life. 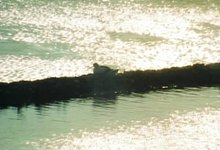 Far from the reverberations of contemporary society, the place has a rhythm of its own throughout the year. 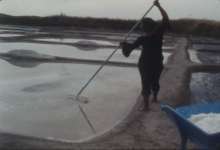 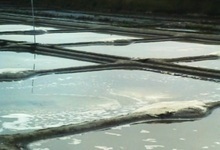 After winter restoration work, the mosaic of shallow salt pans are prepared, which by means of minute skilful adjustments, enable the water to circulate; combined with the effets of the sun and the wind, these allow the salt to crystallize. 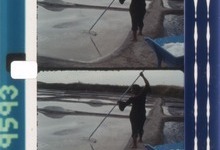 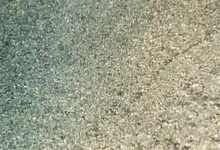 By the end of the process, as at the end of the film, the fine salt flower crystals float on the surface above the bigger crystals on the bottom in all directions at once.